This stunning table is perfect for adding some glamour and elegance to a living room or hallway. 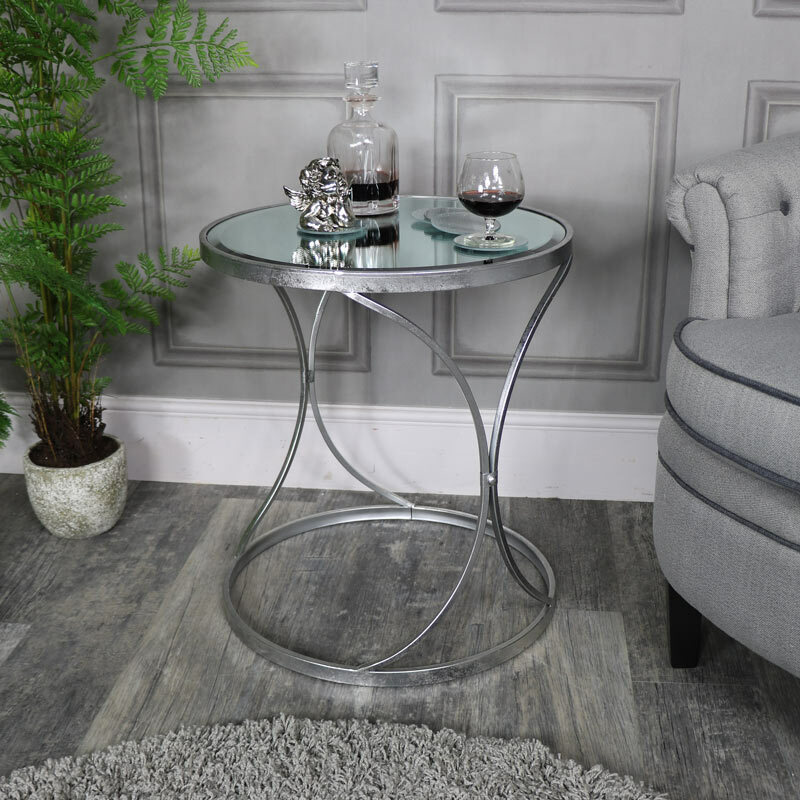 Beautiful curved features on the base with round bevelled mirrored surface The curved design on the base of the table adds a unique and quirky look with bevelled mirrored top. Perfect for use as a side table or ideal for creating a beautiful display that will enhance your decor. This table will be perfect for adding that finishing touch to your decor. This table is sturdy and practical and will add the 'WOW' factor to a room with it's vintage elegance. 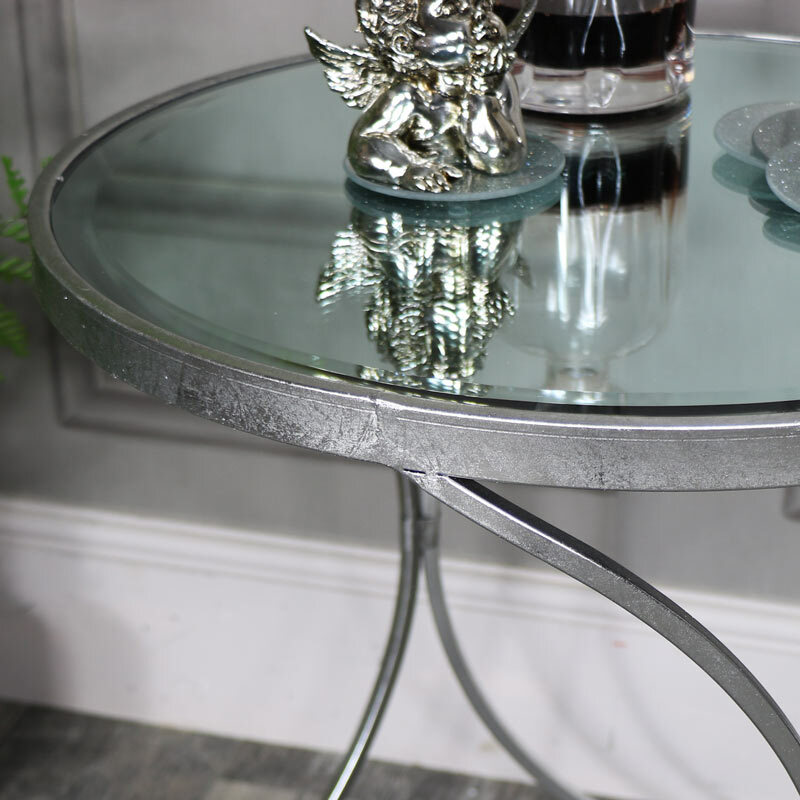 The curved design on the base of the table adds a unique and quirky look with bevelled mirrored top. Perfect for use as a side table or ideal for creating a beautiful display that will enhance your decor. This table will be perfect for adding that finishing touch to your decor. This table is sturdy and practical and will add the 'WOW' factor to a room with it's vintage elegance. 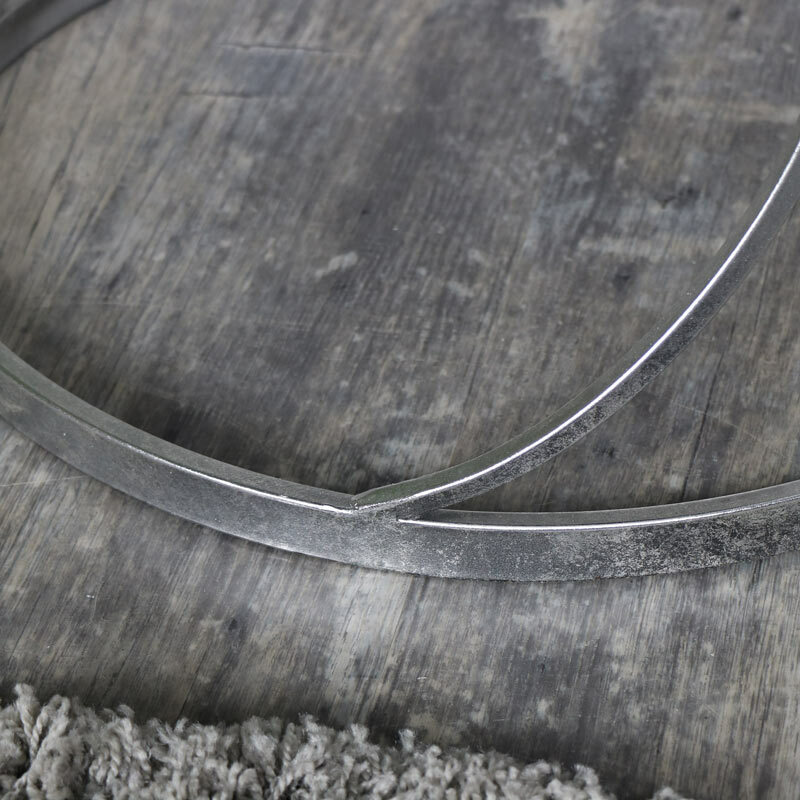 Metal frame in a silver painted finish with large bevelled mirrored surface. The table is fully assembled.